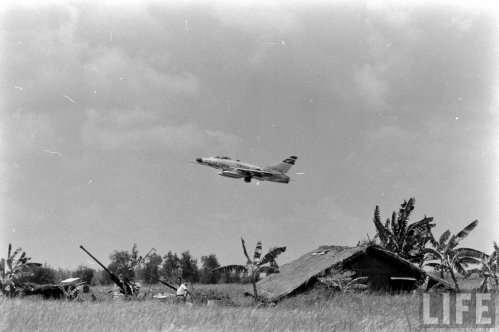 One question: These photos indicate that the F-100 unit deployed to Chiayi was the 72nd Tactical Fighter Squadron at Clark AB, PI. 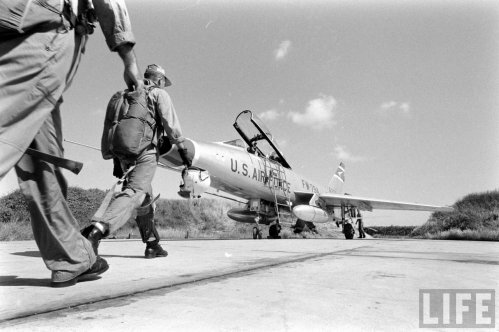 But the USAF documents I have (for example, see F-104 on Taiwan During 1958 Taiwan Straits Crisis and several webpages say that it was the 388th Tactical Fighter Squadron at Cannon AFB. Who is correct? Might be both squadrons were there at different time, either rotating in or rotating out? 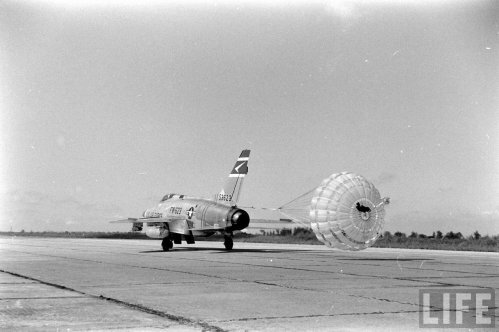 directed the 388th TFS, with 16 F-100s, to fly to Clark Air Base”. So the 72nd TFS might have come to Taiwan first and then was relieved by the 388th, or the other way around. The 72nd tfs was permanently stationed at Clark AB, philippines commanded by Col. Carlos Danacher. This was a brief deployment to Chiayi. The 72nd’s primary mission was nuc alert at Clark and another nuc alert detachment at Tainan, Taiwan. 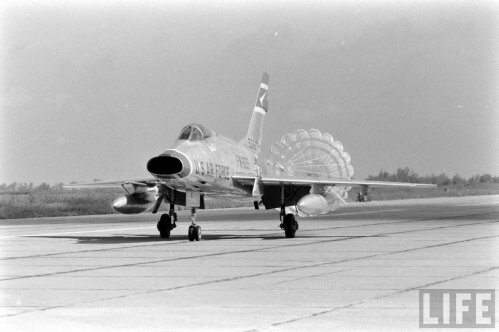 Squadron later designated the 510th tfs. 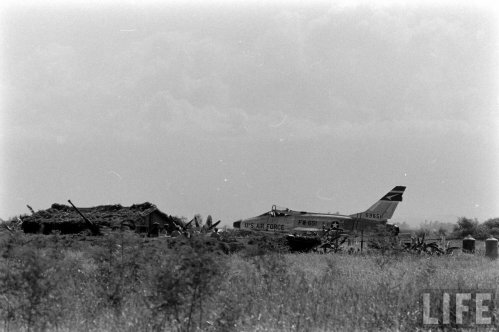 Had not heard that the 388th tfs was present at that time. 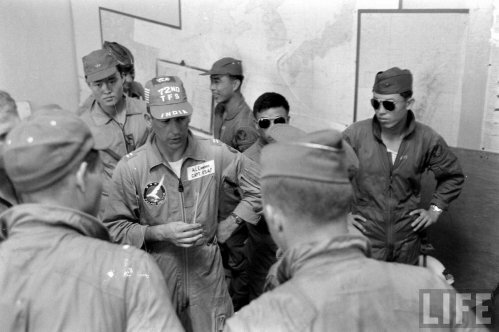 Lt. Tom Davies and I flew General Moorman (Thirteenth AF Commander) and Colonel Dowling(405th Wing Commander) to Chiayi from Clark in two F-100f’s to join the Taiwanese dignitaries. 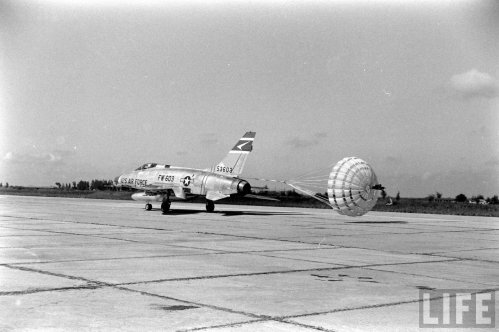 The 388th TFS from Cannon deployed F-100D to Chaiyi. Departing from George AFB stopping at Oahu and Guam with multiple air refueling. I was a 1st Lt at the time. I don’t recall how many sorties I flew out of Chaiyi, or even the date??? ?, it’s been so long ago. The squadron CO was Maj Ray Obenshain -a real SOB! I was his squadron supply officer and he had come from the 386th where he had a huge Report of Survey for lost equipment so he was really on my case. I had no problem later transferring the account with no lost equipment or survey, much to surprise and relief of Obenshain. I remember one night sortie in Chaiyi I had to do a minimum fuel Chinese GCA after a go around under deteriorating weather conditions. I had tried to land VFR just as the low clouds caused me to wipe my gear through the tree top at the end of the runway. I brought back some foliage in the landing gear. 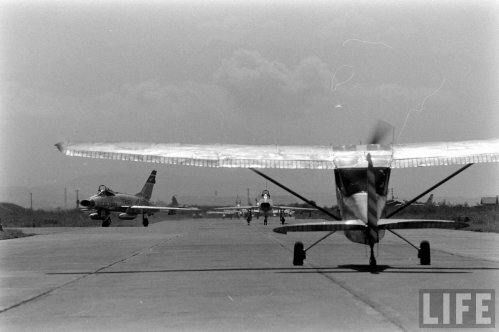 Ron Dinn landed later and flamed out on the runway. The only black pilot in the squadron (name Howard Smith?) got into a porpoise on landing and ejected himself on the runway. That was before the aircraft had a zero ejection seat. It didn’t kill him but I don’t think he ever flew again. We flew armed patrol over the China Sea but had no encounters with the MIGs that I am aware of. I don’t remember hearing anything about the 72nd. 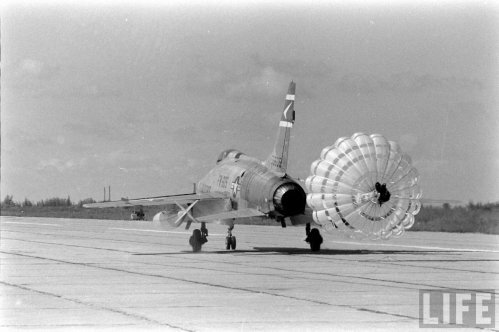 The 388th was later re-designated as the 524th TFS but I don’t recall if that was before or after this deployment. I was stationed at Cannon for 3-1/2 years and left there in 59 for 4 years as Acft. Com. in SAC KC-97s. Subsequently to AFIT and later to Systems Command. 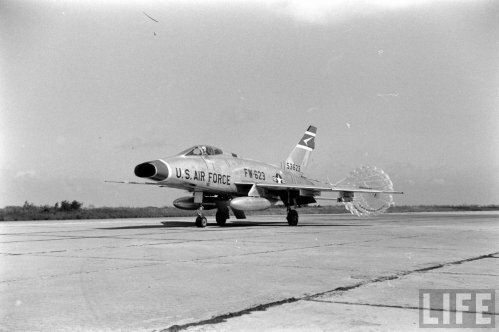 When (back in late 60’s), I saw one F-100 led three F86 flew in formation stormed through the west coast in Taiwan. It was very impressive sight I could never forget. F100 is a awsome plane.